Seradj, H., Moein, M., Eskandari, M., Maaref, F. (2012). Antioxidant Activity of Six Marine Sponges Collected from the Persian Gulf. Iranian Journal of Pharmaceutical Sciences, 8(4), 249-255. Hassan Seradj; Mahmoodreza Moein; Masoumeh Eskandari; Faramarz Maaref. "Antioxidant Activity of Six Marine Sponges Collected from the Persian Gulf". 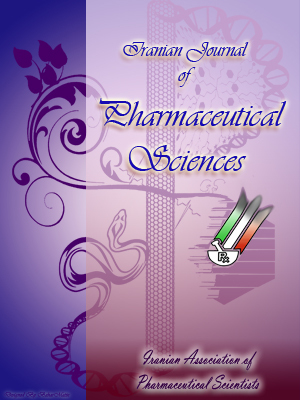 Iranian Journal of Pharmaceutical Sciences, 8, 4, 2012, 249-255. Seradj, H., Moein, M., Eskandari, M., Maaref, F. (2012). 'Antioxidant Activity of Six Marine Sponges Collected from the Persian Gulf', Iranian Journal of Pharmaceutical Sciences, 8(4), pp. 249-255. Seradj, H., Moein, M., Eskandari, M., Maaref, F. Antioxidant Activity of Six Marine Sponges Collected from the Persian Gulf. Iranian Journal of Pharmaceutical Sciences, 2012; 8(4): 249-255.